Guangzhou Olansi Healthcare Co., Ltd is a manufacturer from China that associates itself with the fabrication and supply of air purification and water treatment systems. All of their products are assured to last and offered at affordable rates. Environmental degradation is one of the most pressing issues in the modern day world. It is not a recent issue, to begin with as the onset of the industrial revolution marked the beginning of deteriorating conditions of the environment. The puff of black smoke after the first steam engine was turned on created the path for degrading conditions of air. Since then, pollution of groundwater and saturation of air with harmful particulate matter is an ever-lasting issue. With the expansion of industries, city limits were also expanded reducing the green covering of the earth to a bare minimum. Thanks to modern science and research, nations have joined hands to conceptualize machines and advanced equipment to keep the ill effects of environmental depletion under check. 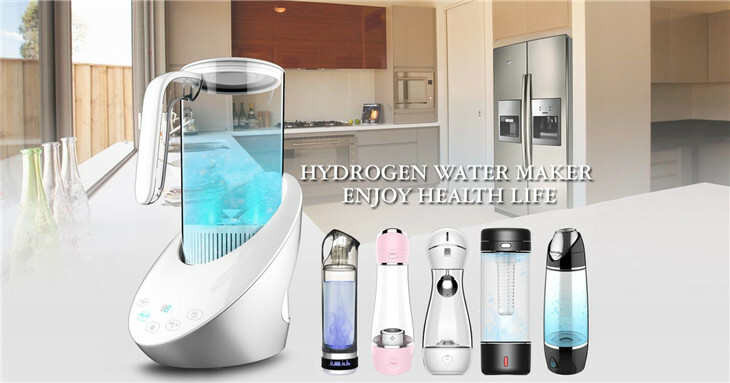 When it comes to manufacturing hydrogen water machine and related equipment, one of one of the leading nations is the Republic of China. Guangzhou Olansi Healthcare Co., Ltd is a manufacturing firm associated with the fabrication and supply of advanced purification systems and treatment installation for both air and water. They have a global presence when it comes to popularity, preference and customer satisfaction. The company is accredited and internationally certified with different industrial standards including CE certification. It is considered to be one of the most technologically advanced and progressive manufacturers. The manufacturing unit of the company is equipped with advanced robotics and automated machinery that minimizes compromising with product quality. To secure the future of the company they invested a lot of time, money and efforts into putting together a dedicated Research and Development wing within their company grounds. The R&D wing is headed by a team of highly skilled individuals consisting of thinker, engineers, technicians whose job is to conceptualize innovative product ideas. Their latest product, the hydrogen water maker is the brainchild of one such engineer working in the R&D wing. It is an advanced water purification and treatment device that is portable enough to carry anywhere and talented enough to provide pure drinking water. The hydrogen water generator is another example which enables the company to showcase their capabilities to tackle environmental challenges efficiently. The company is designed and constructed to merge with the surrounding environment without damaging the delicate balances of nature. They makes the use of natural light as much as they can with the aim of reducing their annual carbon footprint. Guangzhou Olansi Healthcare Co., Ltd is a company hailing from China that specializes in the fabrication and supply of air purification and water treatment equipment. For detailed information on products and business related queries, please visit the official website of the company.